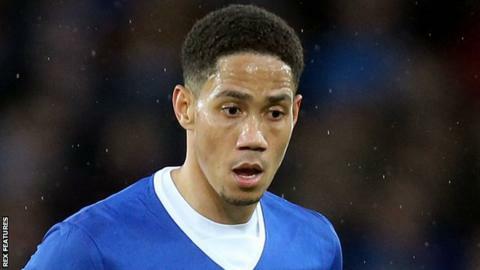 Sunderland manager David Moyes has brought in former Everton midfielder Steven Pienaar on a one-year deal. The 34-year-old was released by the Toffees at the end of last season and had been training with the Black Cats, who host Middlesbrough on Sunday. Pienaar was signed by Moyes for Everton in 2007 and then, after a stint at Tottenham, re-signed by the Scot in 2012 for a second spell at the club. The South African has made 199 Premier League appearances, scoring 20 goals. There are still doubts over centre-back Lamine Kone's future with the Black Cats after the 27-year-old told Moyes he wanted to leave. Kone, who has been offered a new contract by Sunderland, misses the game against Middlesbrough with a back injury, while fellow defender Younes Kaboul has moved to Watford. Moyes says he is hopeful that he can keep the Ivory Coast international on Wearside despite interest from Everton. "Obviously, we have got an offer from Everton, and he knows that as well," said Moyes. "I don't know if he's actually refused [the contract], he just didn't want it. "He's got a four-year contract, he's six months into it, so there's no real panic."